Lights…Camera…Action! If you’ve ever wanted to direct your own movies or like making up stories, then this course is for you. Create your unique story on a storyboard. 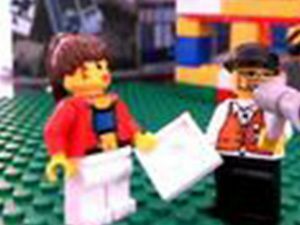 Design your own movie set with LEGO® mini-figures, bricks, plates and background pictures. Using webcams, stop-motion movie software, and video editing software, you will create animated movies with titles, credits, transitions, and sound effects including your own narration. This is a fun course to take with a friend.